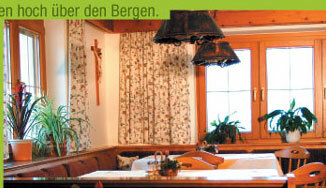 The Schösserhof sits in an idyllic location surrounded by the Zillertal Mountains. The Schösserhof is in the parish of Gerlosberg, 3.5 km above Zell am Ziller and 1,000 metres above sea level. The Schweiberer family love to treat their guests with personal care, making the Schösserhof the right place for those seeking to put some distance between themselves and the everyday grind! The Schösserhof makes the perfect starting point for … spectacular hikes, long and short, in the Kreuzjoch region, with refreshing opportunities to take a break at the numerous Alpine meadows along the way. … Trips by car to Tyrolean tourist attractions such as the Zillertal mountain road, the Krimml Waterfalls, the ‘Golden Roof’ in Innsbruck and much more.